I've finally set up a Flickr account. These pics were taken a couple of years ago after a full respray. Car has only covered about 200 miles since! Hope these pics are a bit more visible than my first attempt. Last edited by mrtwittwoo on 13th February 2011 - 3:20pm, edited 4 times in total. Sorry your photos aren't showing properly. You can edit your post using the edit button. I've changed the bottom one on your post to show what needs to appear, but you need to use a bigger image. Open your photo on flickr and right click, then select properties and copy off the full URL from http to jpg and use that in the 'sandwich'. Sorry it's a bit involved, but that's how this BB program needs it done. We can't host the photos here as the bandwidth would go ballistic! Thats a very tidy looking 412, would love to see it in the metal. This photo we used in the Club Millenium Calendar. It was photographed at Farnham, Hants, at the Autocavan meeting. aha - so that's who owns it now! I hope you're enjoying the fantastic looking 412. Jealous of the number. Will you bring it any of the shows this year? Hence, only having covered a couple of hundred miles. I'm grappling as to whether I should sell. I know I'll never find another like this (which is the reason I bought it), but if I'm not going to be using it in the forseeable future it will have to go. Shall grapple for a while longer & see what happens! Thanks for that. Another thing I hadn't got round to doing! I've tried the "keeping good care of it as it's the children's first car" line, but It's been pointed out that I probably wouldn't let them drive it anyway. Yes, I did buy it from Neal. It's got the biggest history folder I've ever seen, even going back to the original bill of sale. I must really get to at least one show this summer, as I feel about guilty about it sitting in my garage. This 412 is now resident in Melbourne, Australia; complete with all its records. I have never seen such documentation belonging to one car. 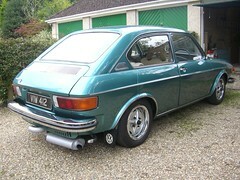 Since being imported in mid-2012, it has had a new muffler fitted and the manual gearbox completely rebuilt. 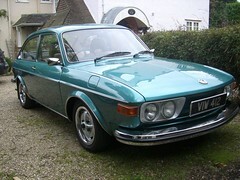 It is fully garaged along with its stablemate - a (Leeds delivered and one owner for 40 years) 1972 1303 "Big" rag top. A new interior is planned for the 412 shortly - to replace the age worn corduroy. A beautiful car and drives very nicely. A credit to the previous UK owners. Thanks for keeping us updated on its whereabouts, Lyndon. It makes a change for the Type 3/4 traffic going that way in the world. Mostly, it's Australian Type 3 coming to the UK. Looks like a very nice car........and perhaps only one of two with Revolution RFX alloys, mine being another. What are your plans for the interior. 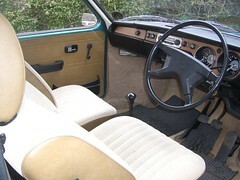 From the first photos it seems as though it may have had the bamboo interior originally ? I forgot to mention that the car has also had new front suspension fitted, including hard to find shocks (these were found in Pennsylvania, USA). 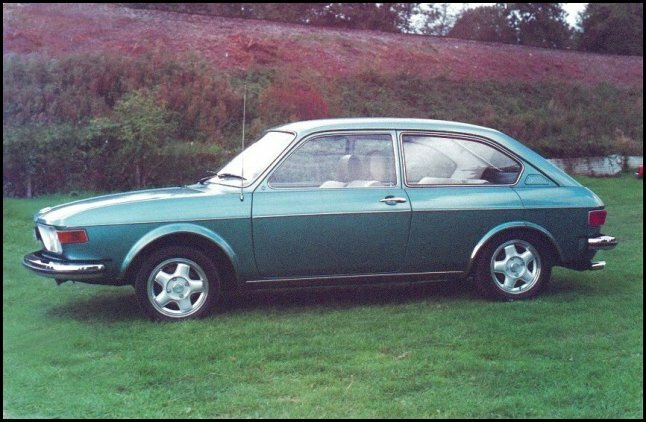 Parts are a problem (seems to be universal however) as Australia has very few of these cars - a few trial examples came in initially but the car was never released for general sale by VW. The interior I am going to try and replicate the original bamboo as closely as I can get it. I am taking my time to make sure it is as right as I can get it. I have also found a rust free engine lid - the existing one has minor surface rust in it. Colour matching shouldn't be too difficult. The speedometer now reads a genuine 53,580 miles with full documentation supporting the distance travelled. Will try to upload photos shortly. Will post my success (or otherwise) with the interior in due course. 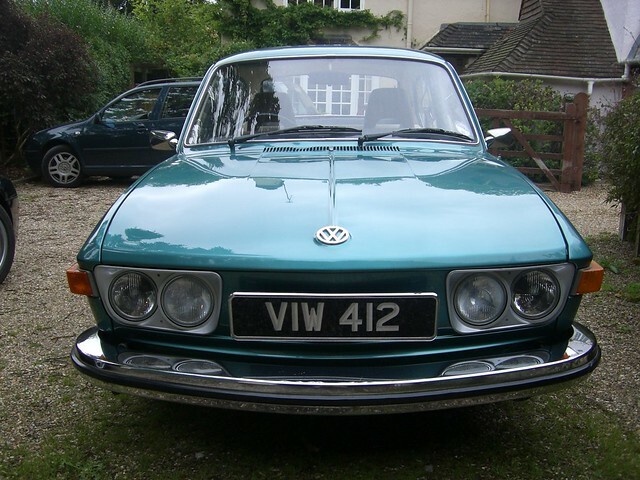 My Leeds delivered car (a 1303 Big beetle) escaped your dreaded rust by accompanying its migrant owner of 40 years to Adelaide, South Australia in 1978. She kept it until 2012, by which time she was in a nursing home (alas a fate which threatens us all). My 412 has had some rust cut out of it and repainted in the UK. A good job was done. With our dry climate hopefully its life will be secure for many years to come. I have found that you are better viewing the websites in original language as the pages tend to have more detail. I have been in direct contact with Cartex / Sitzclinic as their previous website had photos of all the extensive range of Porsche trim that they had in stock. They didn't have the bamboo cloth interior.